An interesting take * on fighter superiority from World War II, in which the F4-U comes out on top in the air-to-air role. The morning started out easily enough. I was trying to Google a Waco YMF-5 with a glass cockpit that I’d seen in AOPA magazine, but the article wasn’t on line. It did lead me to a jaunt through the Elysian Fields of 21st Century, open-cockpit biplanes. Starting at ~$350k. Which is a lot, it seems to me. For an open cockpit biplane. Before you add the Garmin G1000 **glass cockpit. So, I’ve been searching the aviation websites in my off moment or two, chiefly for the distraction that’s in it. In between wondering what that whole Civil Air Patrol ** gas is, what it is they do, how does one get in, how much does it cost and would they really make a retired naval aviator wear those ghastly bus driver suits? And it seems to me there are a world of options out there, so long as you’re only dreaming. Airplane ownership being about the only thing more expensive than supporting an equestrienne, not to mention AVGAS selling at $5 to the gallon, and gallons turning to vapor at an average rate of nine to the hour. I do not mention the insurance. Seems the F-35 has flown over Iran – undetected. Amid news that the Air Force could not maintain their projected fleet because of projected maintenance costs – and would have to cut back by a third. And being 7 years behind schedule with a seemingly runaway budget. It is either going to become a weapons system that will lead the industry, or a boondoggle. Let’s hope they can rein in those problems. Courtesy of GE06, who – despite being one of them armor type plinkees – always brings me the best pr0n. I’m pretty much betting that the right rudder is about on the stops right there. 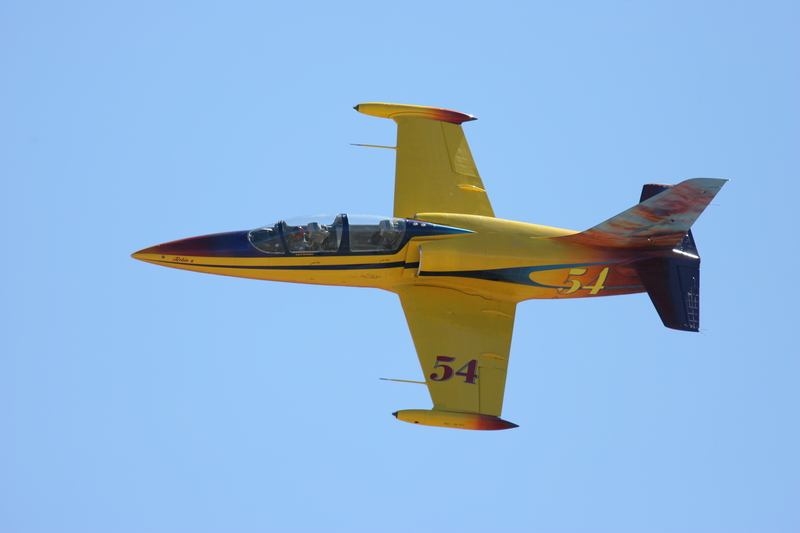 Over the years, I have accrued a number of nice memories of the Reno Air Races. I’ve met “Pappy” Boyington, Bob Hoover, and seen things that can’t be seen anywhere else. I have a print I bought from Major Boyington signed – in 1984. I read his autobiography – he had a terrible time in the Japanese concentration camp (it should go without saying) and post war, an awful time. But he pulled through. He’s at Arlington, now. One thing has changed – well, a number of things. 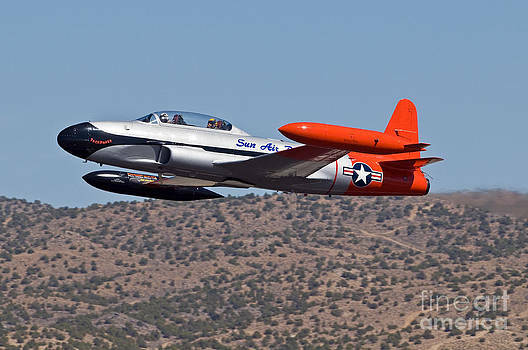 For one, the “Unlimiteds” have become so fast the starter plane changed from a yellow Mustang – piloted by Bob Hoover, to a T-33 jet. They have an L-39 class now – that ubiquitous Czech trainer that the wealthy have embraced. That Merlin – stock was 1,500 hp, is over 3,500 now. If you go there a pit pass is almost mandatory – you wander among all these magnificent planes. Trojan students told us that if you reached the airplane for preflight and it wasn’t leaking oil, the machine was down. It could only mean that there was no oil left.